It’s vacation, everyone is hungry, and you want to find the best spots! 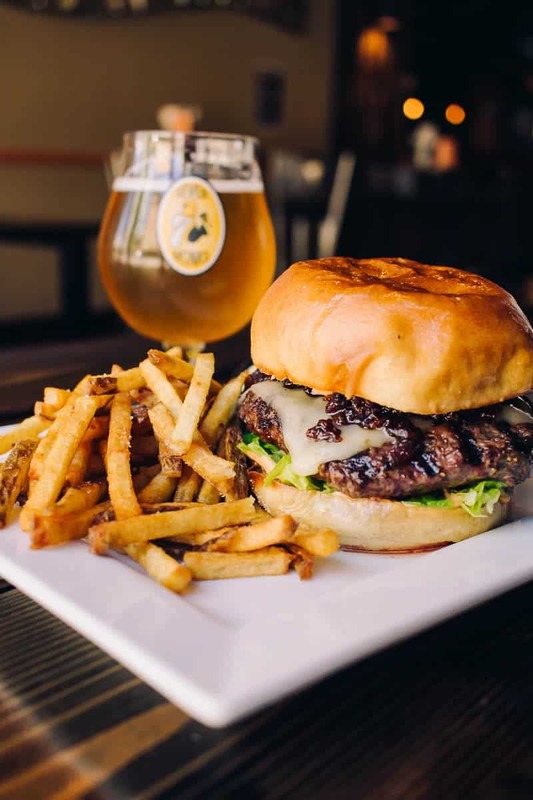 Here’s Our Top 14 Favorite Restaurants Right Now in Traverse City, Michigan to help you. 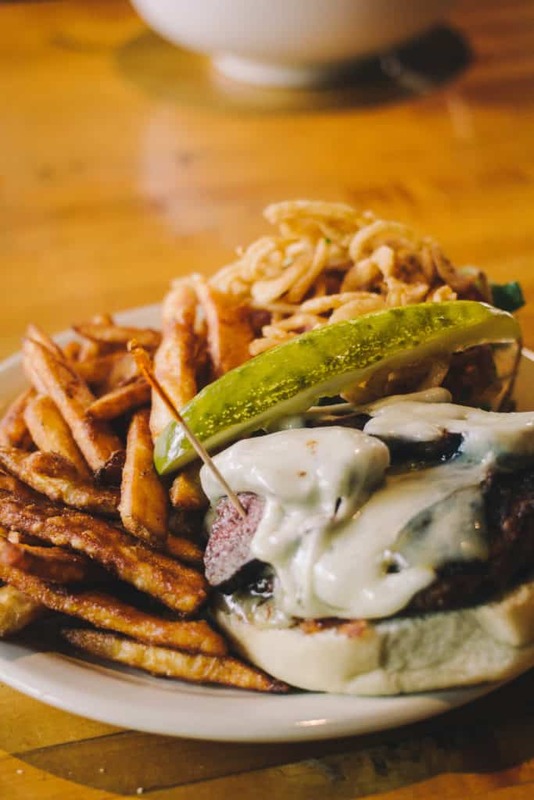 There’s lots of amazing restaurants in Traverse City, but if we have to pick the ones we go back to time and time again, it would be these. So if you’re in town for a visit, we’ve made it easy for you to pick where to eat. If you’re in the mood for authentic, Mexican cuisine at a fantastic price, this spot is for you. 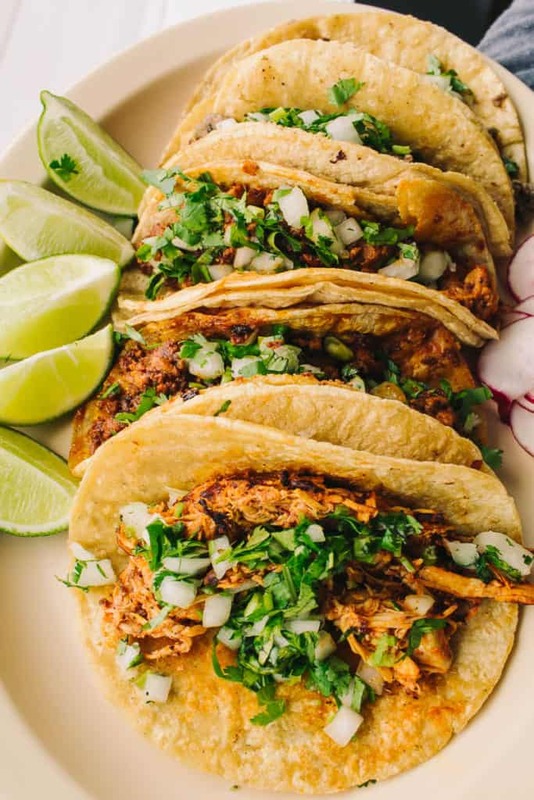 Taco Tuesday wouldn’t be complete without a trip to TC Latino, a small taqueria that whips up amazing food. 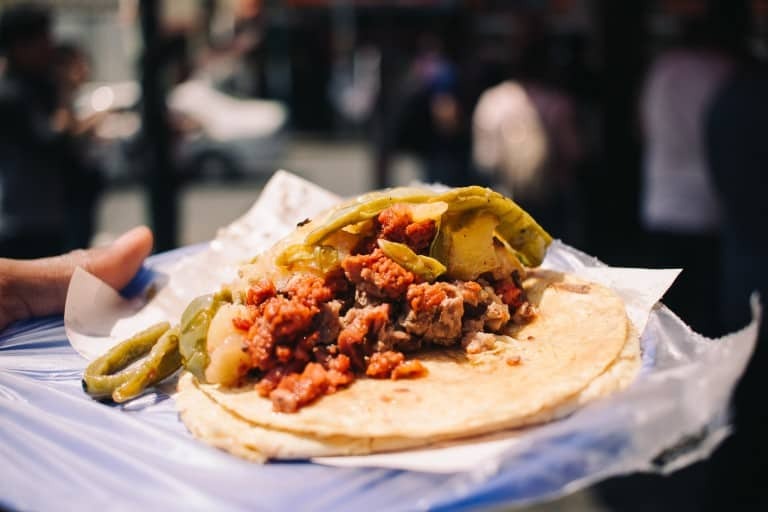 3 tacos at this place should be more than enough to satisfy you, and you’ll only spend $6! They have lots of sweets and horchata if you have a sweet tooth. Grab some some small snacks, drinks and spices to go home too. In our opinion, this is probably the only authentic taqueria in town, unless you’re visiting their recently opened second location. 😉 You’ll be glad you came! Pro tip: Like many other places on this list, it’s the best for a reason and is often quite busy, especially during lunch and dinner rush. You should call ahead to place your order, or be okay with waiting a few minutes. 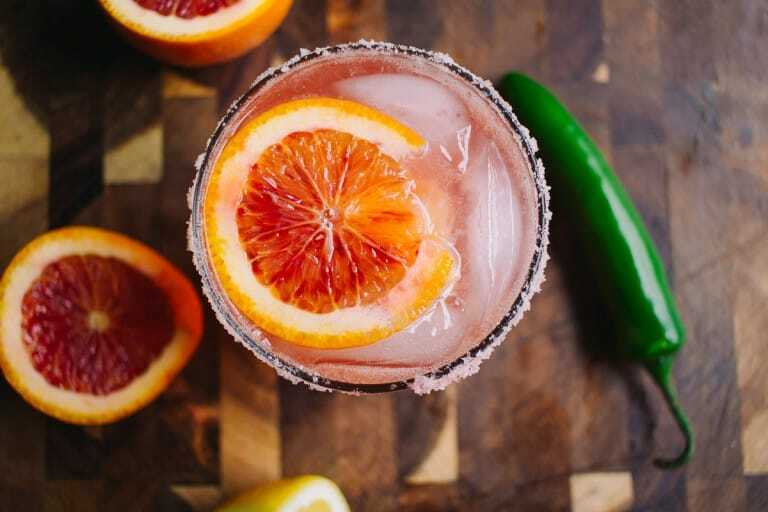 If you’d rather cook at home and want authentic Mexican ingredients, visit TC Latino Grocery store! 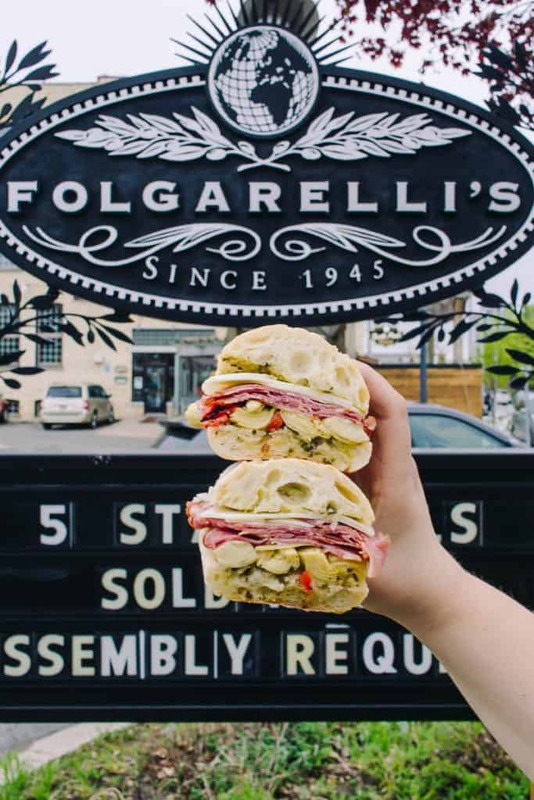 Folgarelli’s is a gourmet, old world Italian food, wine and deli shop. These guys have been in business since 1947, and they’ve got it down to a science. Amazing food, friendly service and great prices – makes it one of the best deals and experiences in town. Their Italian subs are to die for, massive, and made of the best possible ingredients. Most of them will only run you between $8-12! This no frills, family owned deli is a must visit when in Traverse City. Pro tip: There are just a few tables inside, but they have a full patio to eat outside for the summer. There’s free parking in their lot, but spots are limited if you go at busier times. Many just take lunch & wine to go. They have an impressive wine selection with over 2000 labels! Folgarelli’s also caters. A staple in town, everyone knows and loves a Mary’s Kitchen Port Turkey Gobbler! Stacked, but simple with high quality ingredients. You can grab a super satisfying and high quality lunch here, or shop around for some kitchen inspiration. 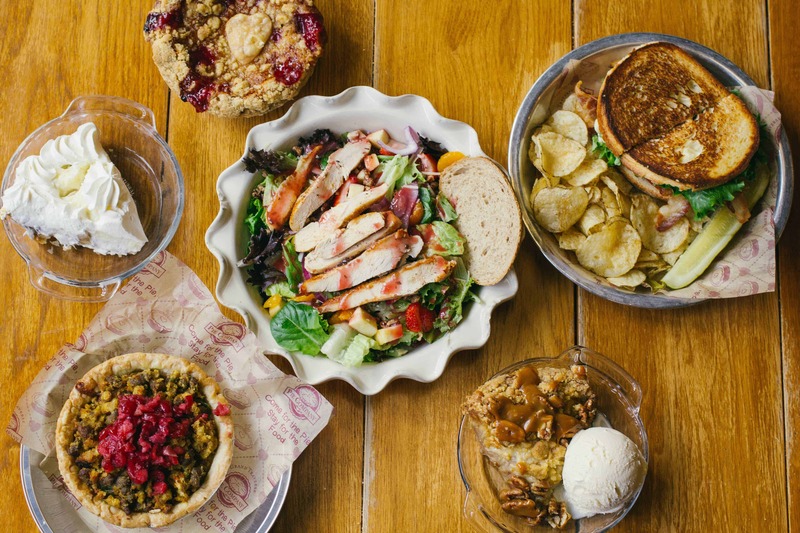 They make sandwiches (like the Gobbler), fresh salads, delicious baked goods, sides, soup & some delicious raspberry iced tea. Pro tip: It’s grab and go, and they get busy at lunch time. They are only closed on Sundays during the summer. However, their hours do vary and if you’re coming at a different time of year, look into it before you head over. There’s nothing worse than heading over for a Gobbler in the snow only to find out they are closed! Traverse City is so lucky to have such fabulous Detroit style red top pizza. Alley’s Market hasn’t been open very long, but it has been creating quite the buzz and the locals are all loyal supporters. 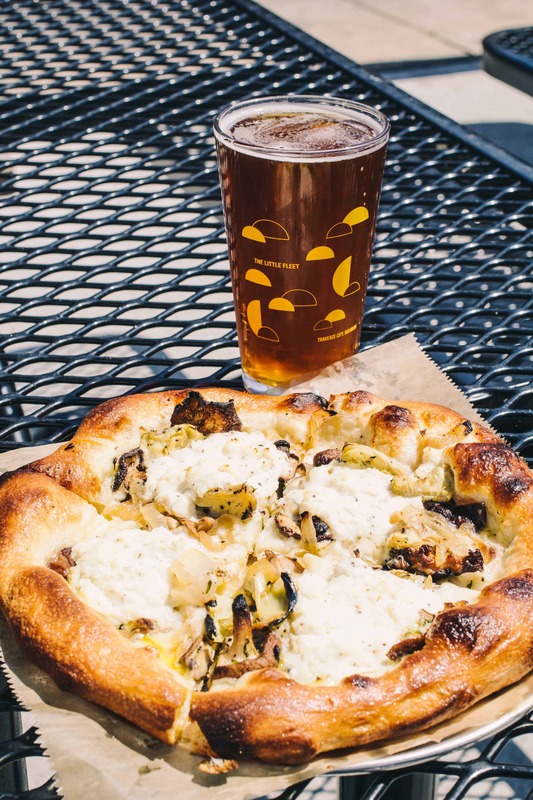 Alley’s menu is simple, offering a few different pizza combos, or you can create your own. You can grab beer, wine, snacks and refreshments to go, as it’s set up as a convenience store. They’re open everyday from 10 am until 10 pm, except Friday and Saturday, where they stay open until midnight. It’s small in there and they get busy, that’s how you know it’s good! 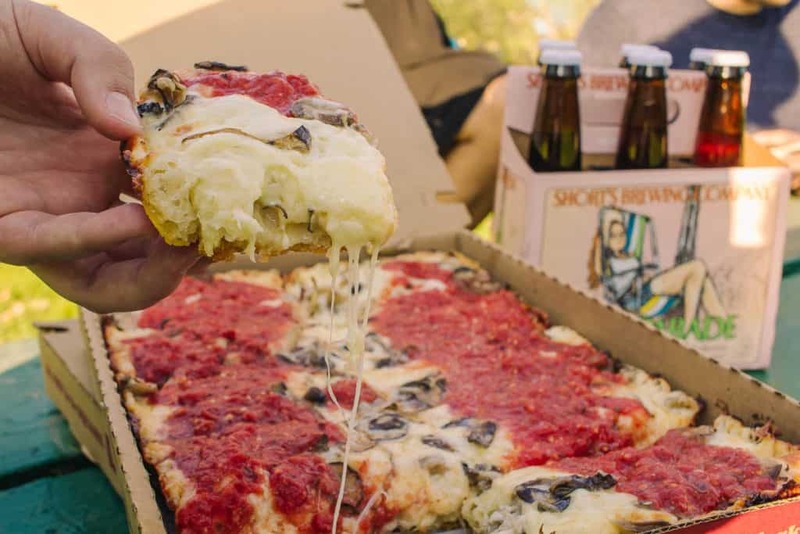 We love to grab some pizza and some beers and go sit in a park or by the bay and enjoy. Pro tip: Locals get half off of 1 pizza on Mondays if you have an ID to show your proof of residence. It might be best to call in your order ahead of time during peak hours, because often they are quite busy. You can’t drink alcohol on the premises, you can only buy it to go. Also, if you’re gluten free, they have pizza for you! Another spot on this list you might already be familiar with if you have seen this post, but it certainly deserves a spot. 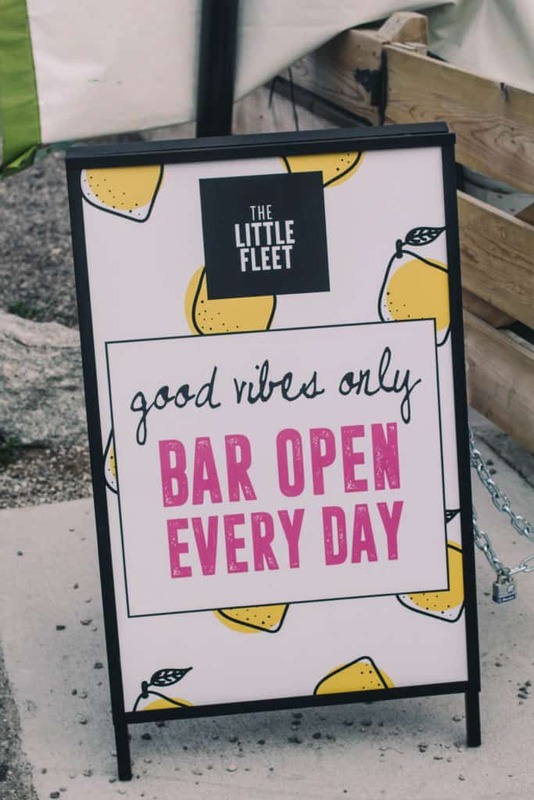 The Little Fleet is the perfect summertime spot to grub and drink. There’s no better place to make sure everyone is happy than a sea of food trucks attached to a bar with extensive beer, wine and cocktails options! There is something for everyone there. From soft serve, salads, burgers, tacos, bbq and even sushi, you can get it all with the perfect beverage to match. 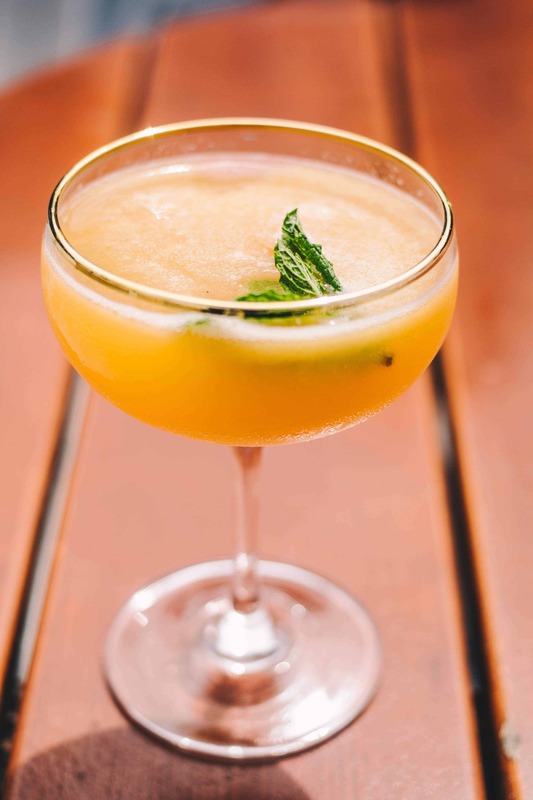 Really, their cocktails are some of our favorites in town, with fresh squeezed juices and fun local flavors. Pro tip: The Little Fleet food trucks all have varying hours, so you have to keep up with your favorite trucks individually on their socials to see what. In the wintertime when the food trucks aren’t there, their bar is still open and it’s wonderful. 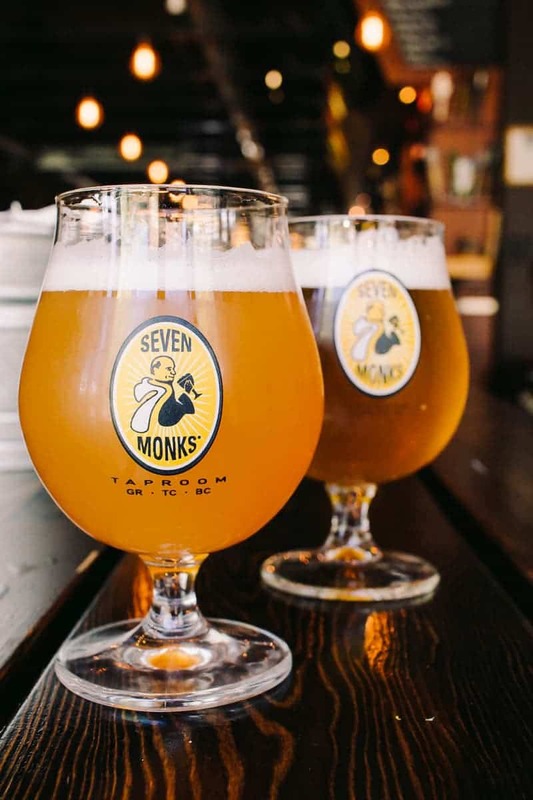 7 Monks is a taproom that serves fantastic food with a location in Traverse City. They have over 45 beers and ciders on tap at any time, and most of them are local. Grab lunch or dinner here, and you can expect some seriously insane savory goodness. 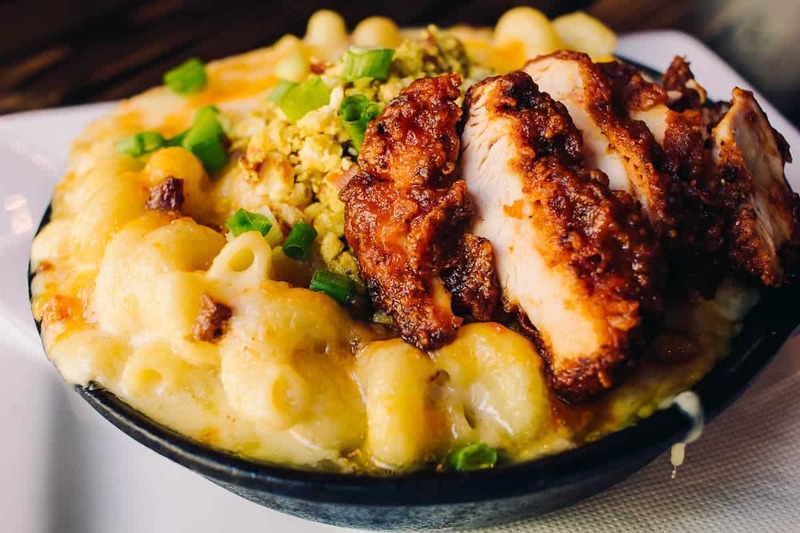 Two of the best things we have ever ate (to this date) are here – their mac and cheese topped with spicy fried chicken tenders, and their bacon jam burger. The staff is super knowledgeable if you’re not sure what beer you want, they will help you pick out the right one! Grab a cold beer to wash it down, and you’ll be in heaven (just wear your stretchy pants)! 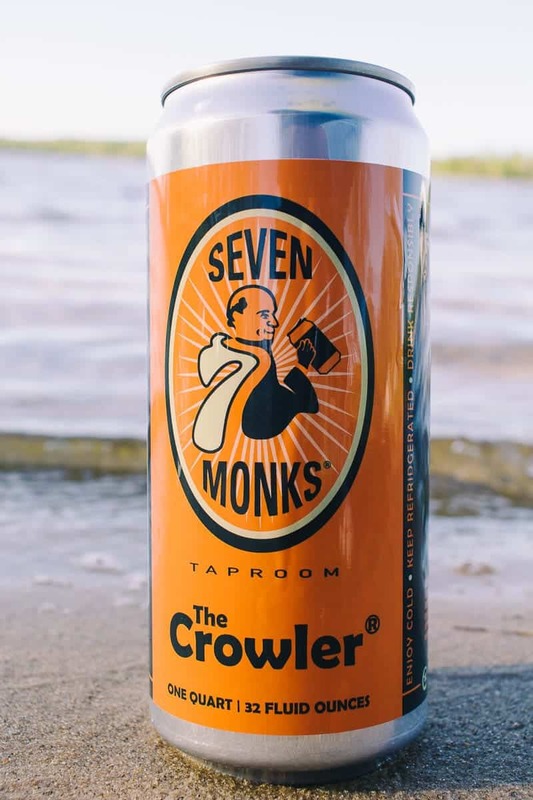 Pro tip: Grab a Crowler to go – most of the beers on tap are available to bring to the beach, or wherever you’re headed! 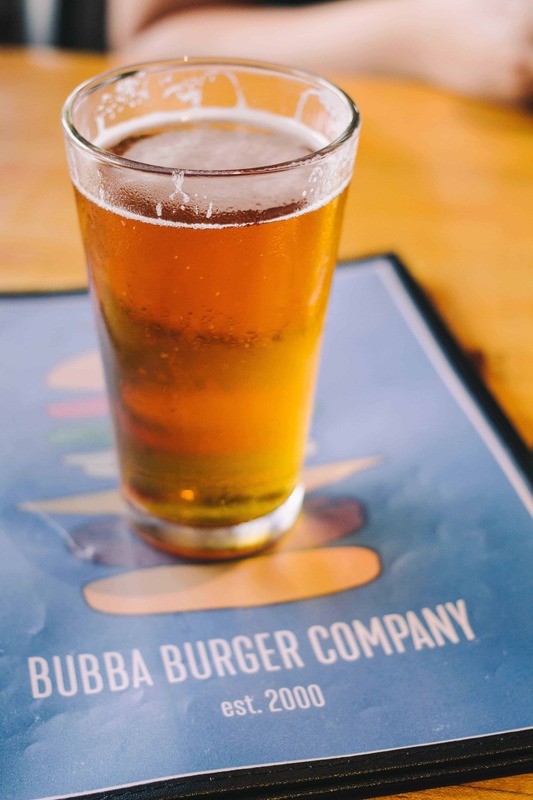 You’ve probably noticed that we are totally in love with Bubba’s. Here’s a full write up about them. 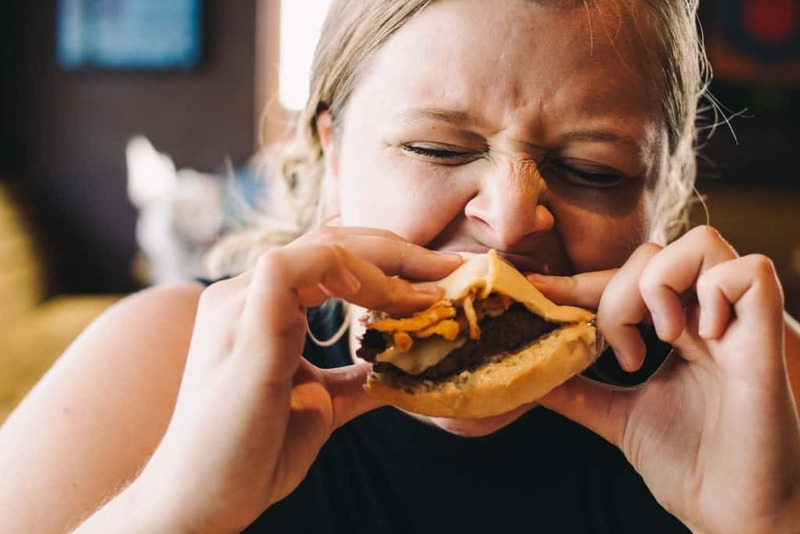 Their burgers are some of the best in town, and some of our favorite burgers of all time, as they are so customizable, juicy, fresh and just delicious. 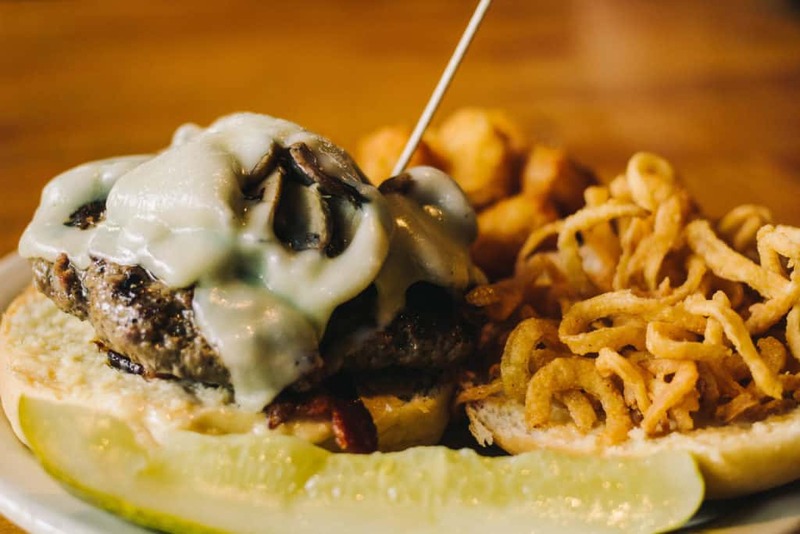 We tend to order the haystack burger, as who can resist such a delicious pile of crispy fried onions? Bubba’s is open for breakfast, lunch and dinner everyday. 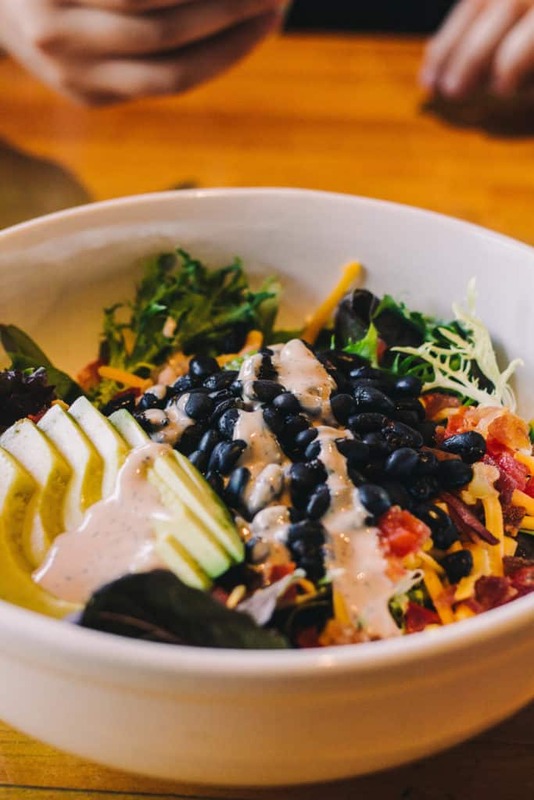 They offer a huge menu of burgers, fries, sandwiches, wraps, wings and even delicious salads. 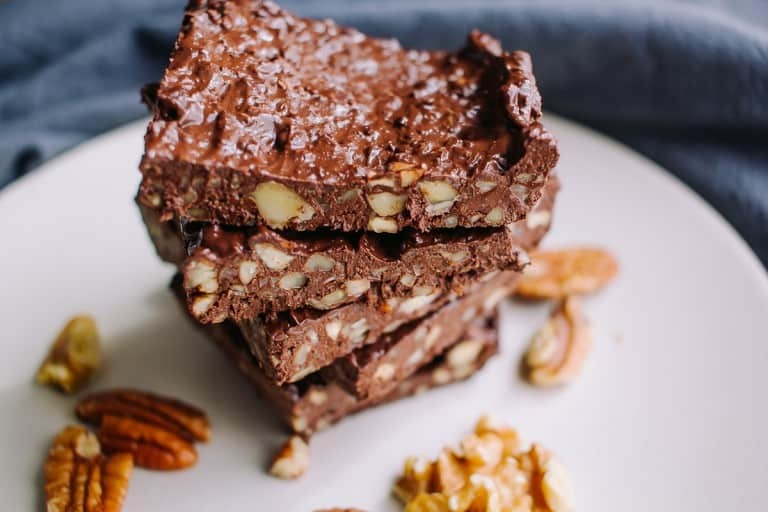 They have fun desserts too that are often boozy (if you left any room for sweets). Their selection of local beers and wines are seriously impressive, and they have a great cocktail menu. This place is no frills and you will not leave here hungry. Pro tip: They have “Bubba Time” Monday thru Friday every week from 3 – 5:30 pm, where you can get 25% off your meal. Ahh, good old Harvest. We’ve wrote about them a few times, so by now, you might be familiar! These guys serve internationally inspired cuisine at their food truck the Roaming Harvest at The Little Fleet, as well as at their flagship restaurant. Their menu items definitely give you a street food feel that we love. No frills, just excellent sourcing of ingredients and great prices make this place great. They have a really great selection of wine and beer, that rotates often. Drop by for lunch or dinner! Pro tip: Their menu changes often, like, in the middle of the day, so don’t expect our favorites to be there when you get there. When they are out of something, they are out for the day and they replace the menu item with something else. Talk about fresh! Poppycocks is a long time favorite, and it was a pleasure to write this post with them last fall. 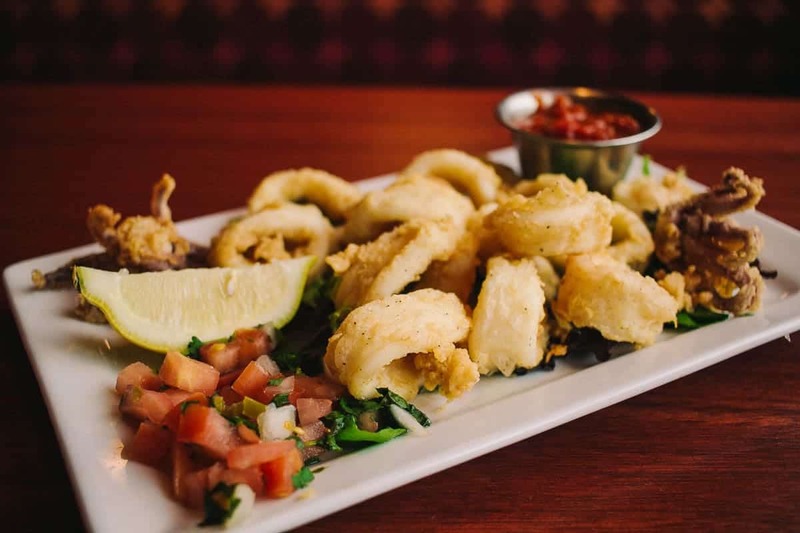 They have certainly stood the test of time, and is a local favorite. Poppycocks serves modern American fare, with food that is inspired by global cuisine. They often have live jazz, and their selections of cocktails and wine are seriously impressive. On Wednesday nights they have an amazing dinner special, $45 for a bottle of wine and 2 entrees. Can you believe that?! You’ll love it here. 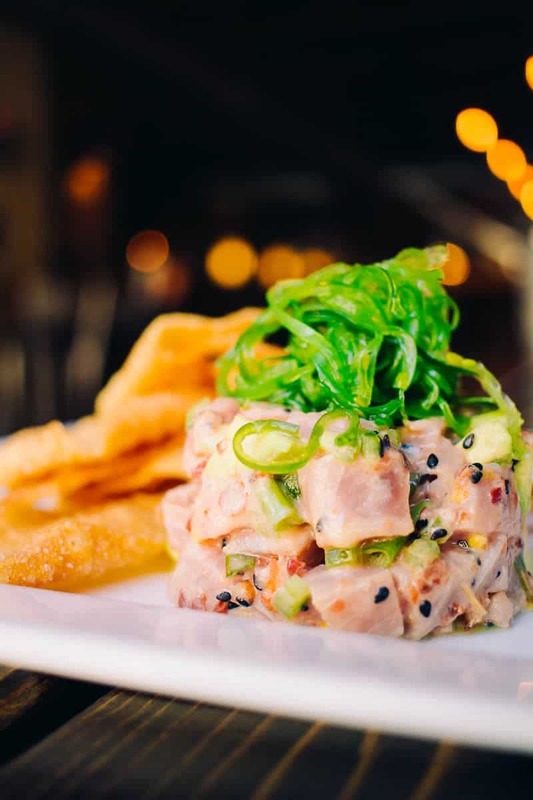 Pro tip: These guys do accept reservations, and we highly recommend making one if you are coming in at dinner time, especially for Wednesday nights! Lunch is a little slower and just as good too if you’re feeling spontaneous. Time and time again, Apache Trout is solid, with excellent service and one of the best views in the city. Situated right on the Grand Traverse Bay, there isn’t a seat is the house where you can’t see the water. It’s so beautiful and makes it perfect for date night, but also for a night out with friends and family. They have an incredible outdoor seating space right on the water. Apache Trout is known for its seafood and steaks. So grab a bottle of wine, and have some delicious food with a view with your loved ones. Pro tip: They don’t accept reservations here, so they are often on a wait. Grab a drink at their outdoor bar (if it’s not raining) while you wait for a table. Patisserie Amie is a long time favorite. In high school, I used to eat there with my mom as a special treat. At this cozy French bistro, they serve breakfast & brunch until 2 pm everyday, and dinner on the weekends. This place is definitely not a secret amongst the locals, they are always packed and for good reason! Everything here is excellent quality and fresh, with most things being made in house. The portions are big, so it’s a great value. You can really order anything on this menu and can’t go wrong, but we might suggest trying some of their house made smoked salmon, their duck liver pate, crepes or a croque monsieur. 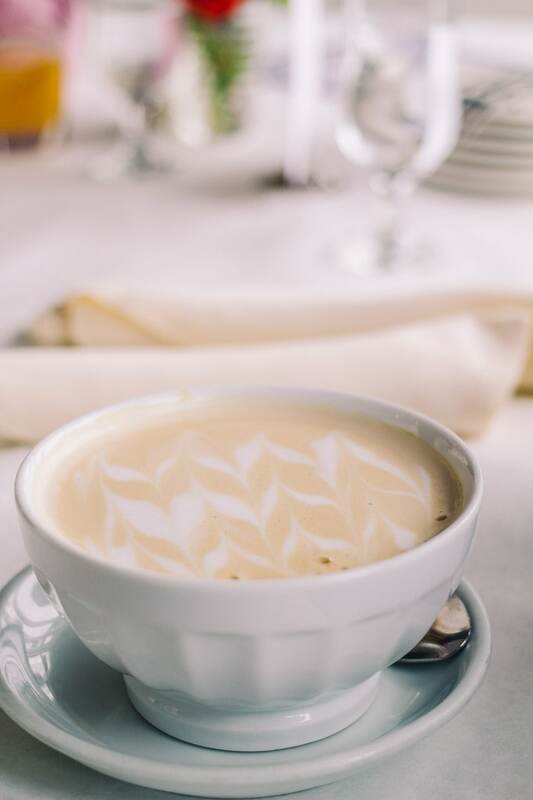 Don’t forget to save room for a cafe au lait, (the latte art is on point) and some of their incredible pastries, like their macaroons. You will fall in love with this place and feel like you’ve escaped to Paris. Pro tip: We definitely pick this place as our top spot for brunch, they offer it 7 days a week. You can’t miss it. Dinner is just as good, and is served Friday & Saturday night from 5 -9 pm. Patisserie Amie would also be an excellent spot for date night as well, and they accept reservations only for their dinner service. 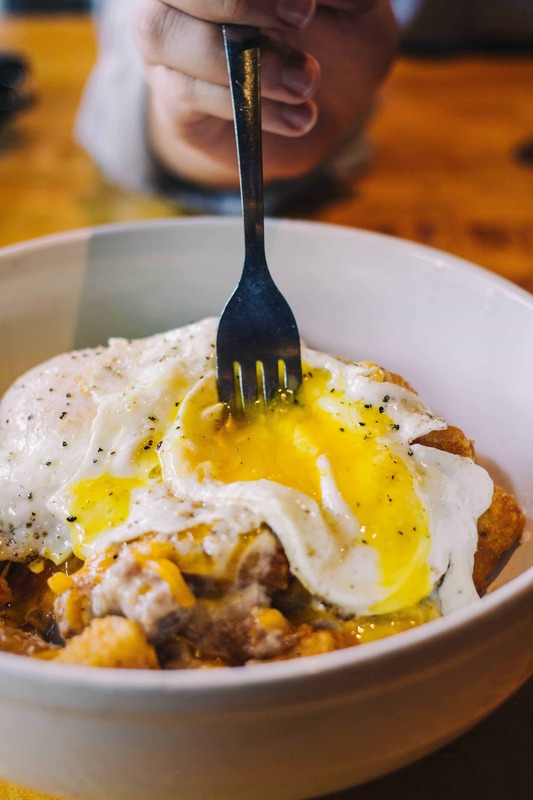 If you’re coming for brunch on the weekends, get there early or expect to wait a bit. You guys might already be a bit familiar with Moomers, cuz we stop there almost every trip home. We wrote about once before here. 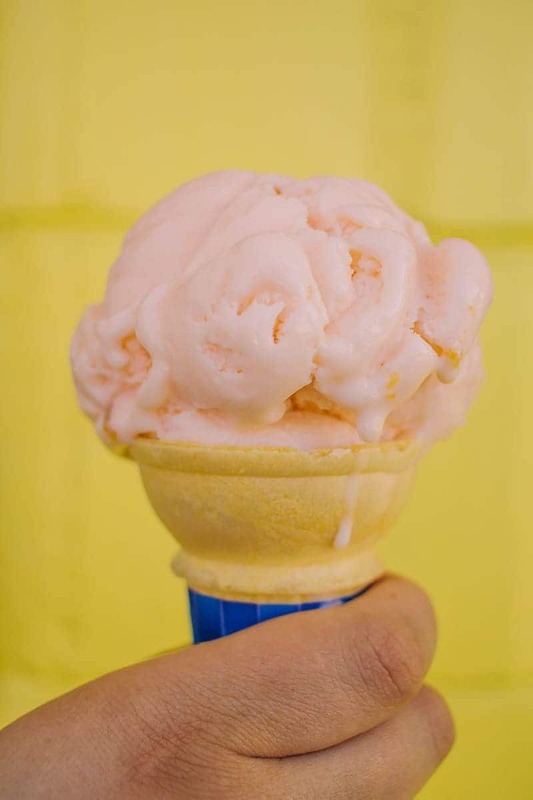 Moomers was named “Best Scoop” by Good Morning America, and just recently, the top ice cream Parlor in America by USA Today. Moomers is one of the most unique places you can get ice cream, where you can watch the cows that produce the dairy hang out and eat in the backyard. The line is out the door in the summertime, but it moves quick. Moomers has created over 160 flavors of creamy and delicious ice cream. About 20 are available each day, and they rotate often, so good luck picking a favorite! Pro tip: They do close after Christmas until early March, but make exceptions for some special orders if pre-arranged. Pro tip: Bardon’s is cash only, and parking is kind of tough when they get busy, so maybe park somewhere in the area and walk. There aren’t a ton of tables, so you might have to stand or walk with your treats. Although you can get a great lunch at Grand Traverse Pie Co. and it’s one of our favorite spots (as we’ve mentioned here before), the thing you absolutely should order here is pie. I guess the name speaks for itself, right? If you’re really feeling like tasting the spirit of Traverse City, get cherry crumb, but we have never tried a flavor we didn’t like. Their pies are seriously delicious. We’ve become such pie snobs now, because the portions are generous, the price is right and to us, they are simply some of the best pies on this earth. 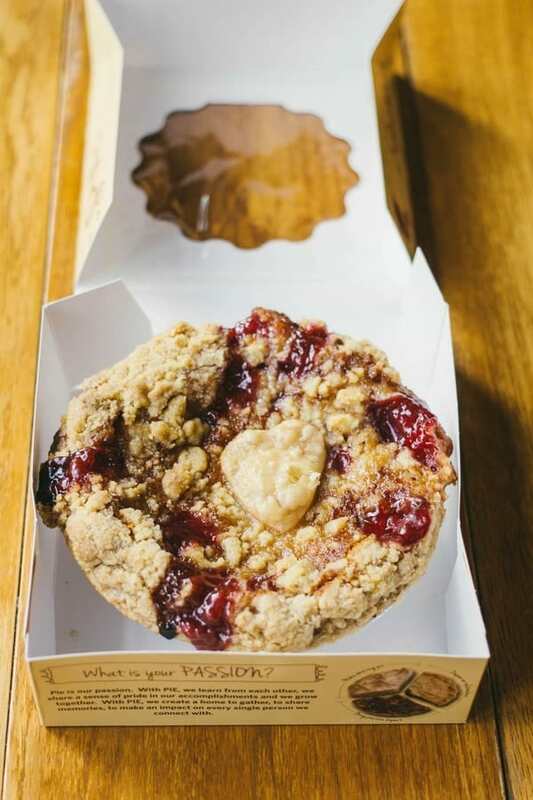 We didn’t realize until we started trying some “Insta famous” pie shops in Chicago what a gem we had on our hands with Grand Traverse Pie Company, cuz we really don’t have a favorite pie shop in Chicago. Please pay this place a visit in Traverse City! Pro tip: These guys ship nationwide so you can have pie for any special occasion! You can also join the Pie Dough Club to earn points and get free pie when you sign up, and for your birthday! 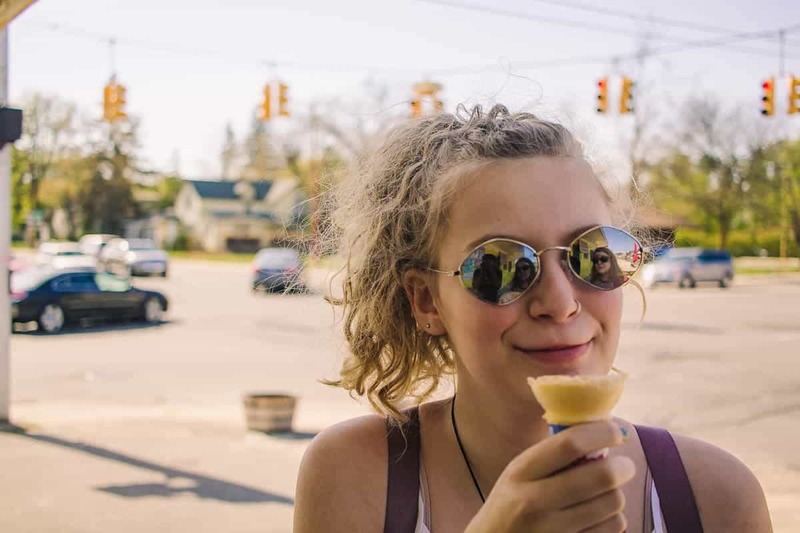 We hope you guys get the chance to make it up to Traverse City, and try out some of these spots to eat. Tell us, have you been to any of these places before? Did we miss any spots? Let us know! If you liked this list and found it helpful, could you do us a solid and share it with your friends? Check out a few of my faves! These places have die-hard regulars and are busy year round.